War with America was a direct consequence of the Napoleonic conflict. Britain relied on a maritime economic blockade to defeat France. When American merchants tried to exploit their neutral status to breach this blockade, the British introduced new laws, the ‘Orders in Council’, to block this trading. In the same spirit, when British warships stopped American merchant ships, they forcibly impressed any British sailors they found into the Royal Navy. While some of these men were Americans, most were British. Some had deserted from the Royal Navy, a hanging offence. Britain was in a total war with France. There would be no place for neutral traders, no amnesty for deserters. Although American statesmen complained in public, in private they admitted that fully half of the sailors on American merchant ships were British subjects. Some in Britain thought the Orders in Council could be relaxed, and in fact, the Orders were suspended in June of 1812. But no one doubted Britain’s right to impress her sailors, and all blamed the Americans for employing British seamen when the Royal Navy needed them. A decade of American complaints and economic restrictions only served to convince the British that Jefferson and Madison were pro-French, and violently anti-British. Consequently, when America finally declared war, she had very few friends in Britain. Many remembered the War of Independence, some had lost fathers or brothers in the fighting; others were the sons of Loyalists driven from their homes. The British had no interest in fighting this war, and once it began, they had one clear goal: keep the United States from taking any part of Canada. At the outset, they hoped that, by pointing out that the Orders in Council had been revoked, the U.S. would suspend hostilities. Instead, President Madison demanded an end to impressment, well aware that Britain would not make such a concession in wartime. And so Britain went to war, with no troops to spare to reinforce Canada; it would be defended by a handful of British regulars, Native Americans and Canadian militia. The British imposed the same devastating economic blockade that had crippled France, carefully targeting states like Virginia that had voted for war. By autumn 1814 the American economy had collapsed. British followed up with amphibious forces raiding around Chesapeake Bay, raising regiments of former slaves as they went. 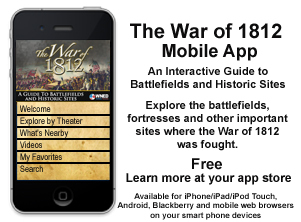 In August, 1814 four thousand British troops captured and burnt Washington, D.C. While these military successes were welcome, British views of the American war were dominated by what happened on the ocean. In 1812, American super frigates captured smaller, less powerful British opponents in three single ship actions. 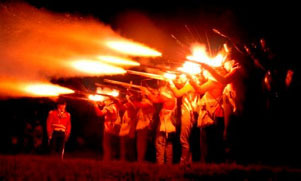 Despite the marked inequality between the combatants, these actions were profoundly shocking for the heirs of Nelson. To make matters worse American privateers took a heavy toll of British merchant ships. The public blamed the Government for these losses, and the ministers responded by reinforcing the fleet before the 1813 campaign. The enlarged fleet imposed an effective convoy system, cutting the supply of prizes and capturing a steady stream of privateers. The next three frigate battles reversed the pattern of 1812. On June 1, 1813 HMS Shannon captured the USS Chesapeake off Boston in only eleven minutes, perhaps the most brilliant single ship action ever fought, making Captain Philip Broke the British hero of the war. On February 28th, 1814 HMS Phoebe took the USS Essex at Valparaiso, Chile in a similarly one-sided action. Finally, on January 14th 1815 the American flagship, the big 44 gun frigate USS President commanded by Stephen Decatur, was hunted down and defeated off Sandy Hook by HMS Endymion. The American flagship became HMS President, a name that still graces the list of Her Majesty’s Fleet. The war at sea had turned against America, the U.S. Navy had been defeated, privateers curbed, ports closed and trade at a standstill. The decisive event of the war was the abdication of Napoleon in April, 1814. This gave the British the option of increasing their military effort to secure a decisive victory. But the Duke of Wellington’s army remained in Europe, sending a few regiments to facilitate the capture of Washington. The British focus on Europe remained absolute from 1803 to 1815: securing a peaceful, stable and durable settlement on the continent was far more important than the Canadian frontier. Even when the British agreed to negotiate with the U.S., the discussions at Ghent remained entirely subordinate to the main diplomatic gathering at Vienna. Eventually the British offered a status quo ante bellum peace, without concession by either side: the Treaty of Ghent ignored the Orders in Council, the belligerent rights and impressment. By accepting these terms the Americans acknowledged the complete failure of the war to achieve any of their strategic or political aims. Once the treaty had been signed, on Christmas Eve 1814, the British returned the focus to Europe. The wisdom of their decision soon became obvious: Napoleon returned to power in 1815, only to meet his Waterloo at the hands of Wellington. 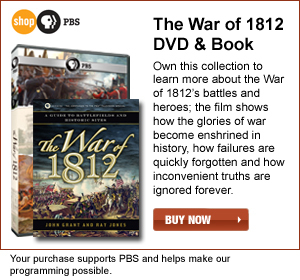 Had the U.S. stayed in the war, the army that defeated Napoleon might have been sent to America. Anglo-American relations remained difficult for the next fifty years, but when crises erupted over frontiers and maritime rights, British statesmen subtly reminded the Americans who had won the War of 1812, and how they had won it. In case any doubt remains the results were written in stone all along the American coast. Between 1815 and 1890, American defence expenditure was dominated by the construction of coastal fortifications on the Atlantic seaboard. Andrew Lambert is Laughton Professor of Naval History at King’s College University of London, and the author of War at Sea in the Age of Sail. He is an expert on British trade and naval history. A typical cartoon of the day. King George’s face reflects Britain’s concerns about Napoleon.